Fair trade regulator CCI has approved the merger of industrial gas firms Linde and Praxair, subject to certain conditions. The deal, announced in June 2017, is worth over $70 billion, according to reports. "@CCI_India approves combination of Linde and Praxair, subject to compliance of certain modifications," the regulator said in a tweet Friday. 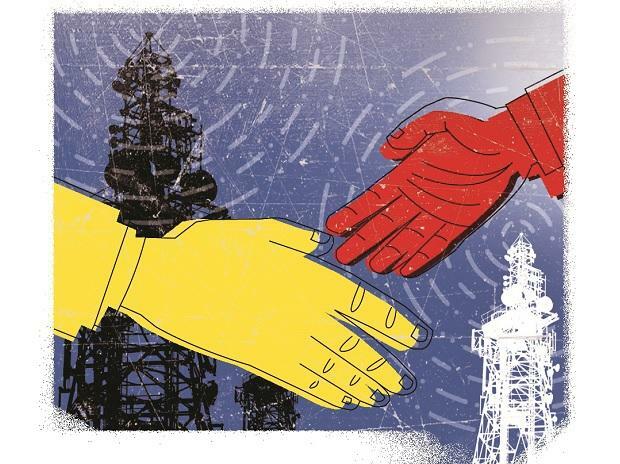 The approval comes following a public scrutiny launched into the deal in earlier in May by the Competition Commission of India (CCI). The regulator places a deal for public consultation if it is of the "prima facie opinion that the combination has, or likely to have an appreciable adverse effect on competition". Similar public scrutinies were launched by the CCI in the case of merger deals such as Monsanto-Bayer, Ranbaxy-Sun Pharma and Holcim-Lafarge. As per a notice submitted to CCI jointly by Linde Aktiengesellschaft and Praxair, Inc in January 2018, the transaction relates to a proposed combination of the two multinational industrial gas companies under a newly incorporated holding company, Linde Plc. After completion of the proposed transaction, Linde Plc will be owned by the two companies' current shareholders, according to the notice. Munich (Germany) headquartered Linde is primarily active in industrial gases and medical gases, specialty gases, helium and the related engineering and services sectors. Headquartered in Connecticut, US, Praxair is an international industrial gases company.